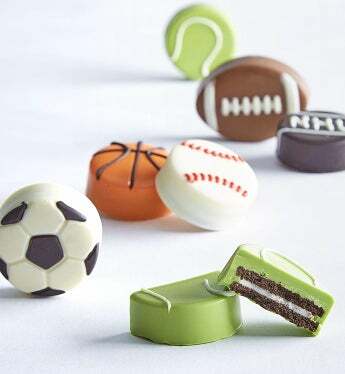 All Sports Fans will love these unique confection dipped Oreo® cookies made in the shapes of their favorite sports balls. They’ll love these 6 confection-dipped Oreos that have been decorated to absolute perfection. We've covered all bases with a football, basketball, tennis ball, baseball, soccer ball and even a hockey puck!